Line 8-inch square pan with foil; spray with cooking spray. In large microwavable bowl, microwave baking chips, sweetened condensed milk and milk uncovered on High 2 to 3 minutes, stirring every minute, until smooth. Stir in vanilla until well blended (mixture may be thick). Spread evenly in pan. Refrigerate at least 2 hours until firm. Cut into 6 rows by 6 rows. Store covered in refrigerator. 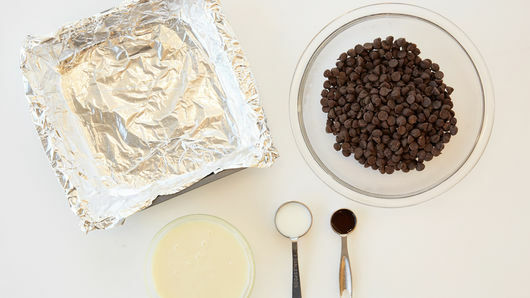 To line pan with foil, turn pan upside down. Tear off piece of foil longer than pan. Smooth foil around pan bottom, then remove. Turn pan over, and gently fit shaped foil into pan. 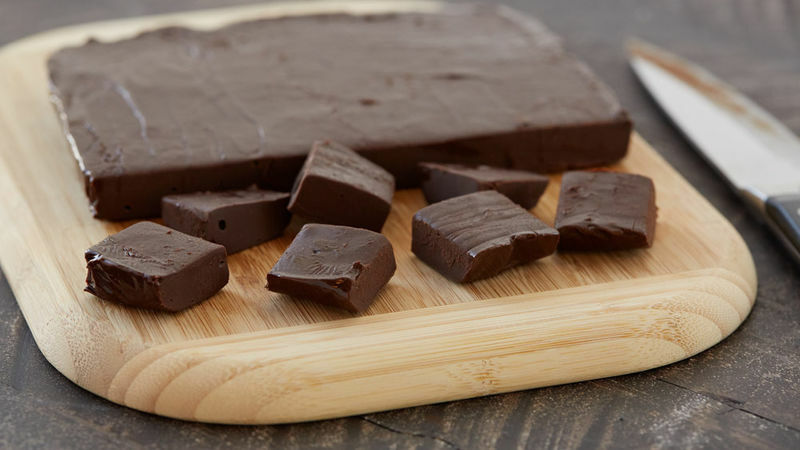 When fudge is cooled completely, lift out of pan by foil “handles,” peel back foil, and cut into pieces. Like nuts? Stir in 1 cup of your favorite chopped nuts just before pressing into pan.